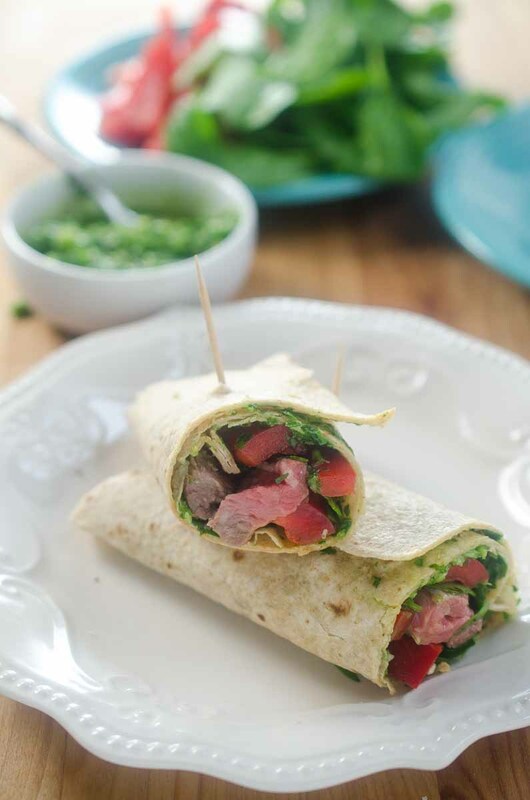 Chimichurri Steak Wraps make a great lunch or dinner! 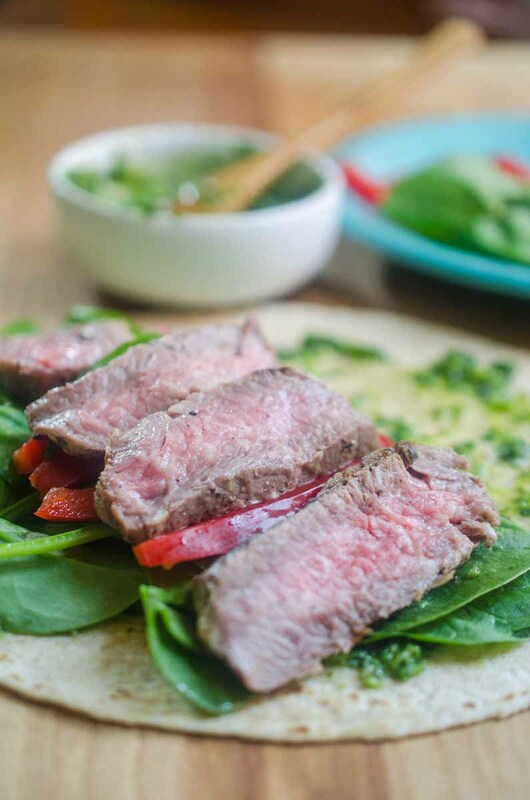 An easy chimichurri sauce adds big flavor to wraps made with steak, spinach and red bell pepper. 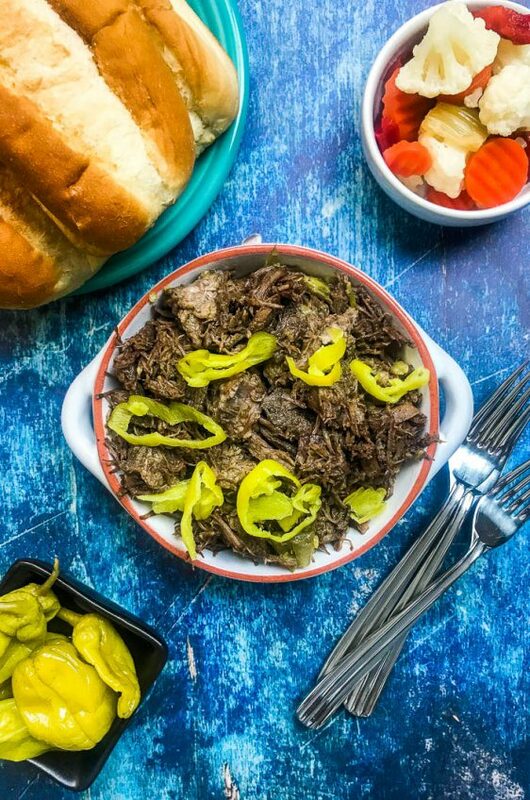 This recipe is sponsored by the Washington Beef Commission. We are grateful for our sponsors because they allow us to share delicious free content with you every week! 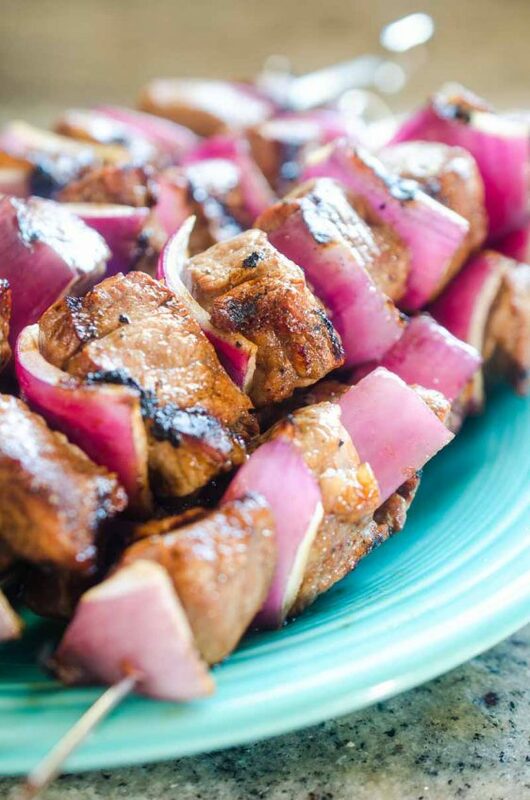 With summer just around the corner, grilling will be a big part of our dinner plans. During the summer we usually grill a few times a week. We grill chicken, shrimp, burgers and of course, steaks. If I make a larger steak then I’ll usually find myself with some leftovers. The leftover steak often turns into steak and eggs for breakfast, but these Chimichurri Steak Wraps are my new go-to. 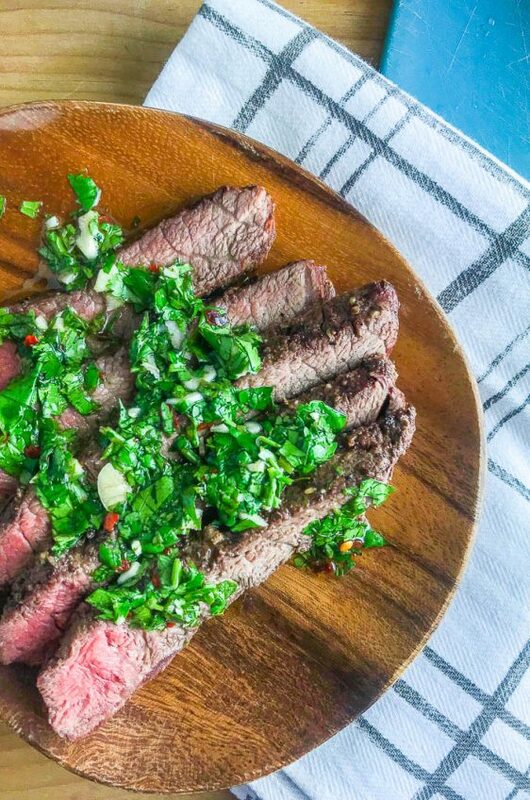 For the record, chimichurri is one of my favorite condiments ever. I put it on salmon, nachos and even shrimp tacos. And now I can add these chimichurri steak wraps to the list. These Chimichurri Steak Wraps are the 4th in my series of posts with the Washington State Beef Commission. Working with the beef commission and learning about beef has taught me so much already. This week I attended a Fork to Farm tour with them and it was eye-opening. I cannot wait to tell you more about it! I’ve got a lot of pictures of cows to process before then, but stay tuned, I have so much information to share!But back to these Chimichurri Steak Wraps. You can use any cut of beef that you prefer. 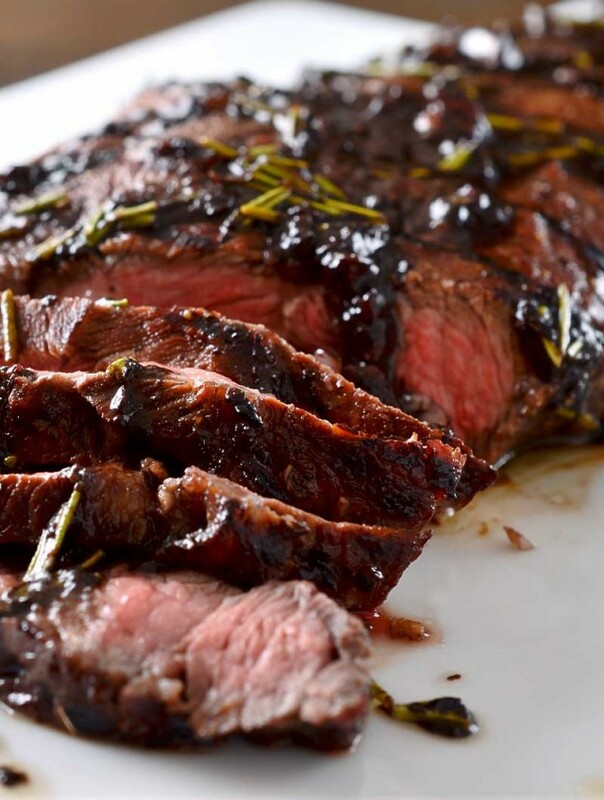 I used tri-tip because we had it on hand, but really any kind of steak will work. You can grill the steak right before you eat but I also think that these are an excellent way to use leftover steak. I had them for lunch two days in a row. 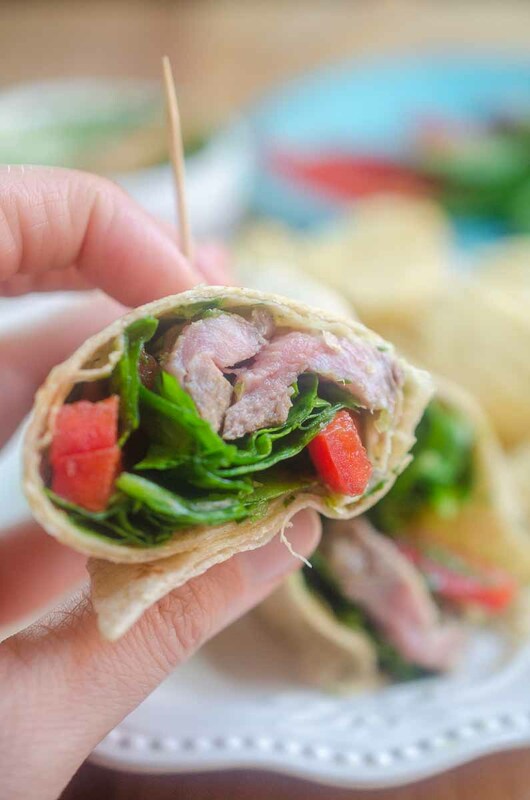 These Chimichurri Steak Wraps are also full of tender spinach, crunchy red bell peppers and wrapped in a whole wheat tortilla. They are full of flavor, veggies and protein. You can’t beat that! YESSS! That chimichurri is perfect on these! I need to mix up some chimichurri sauce and keep it in the fridge all summer. My garden parsley will be so happy! Nice recipe! YUM! This looks and sounds like an amazing lunch! I don’t know why I never think to put steak in a wrap! This recipe sounds delicious! Those look marvelous – I’m ready for dinner! 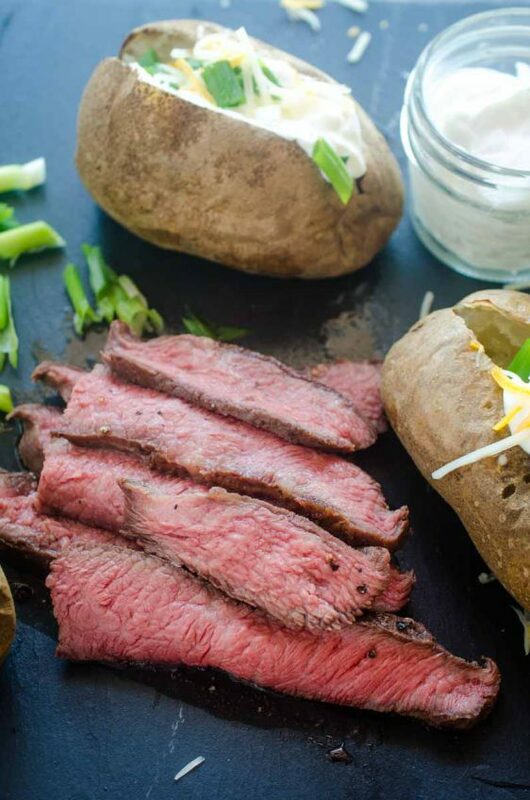 We usually have steak left over after grilling, so I need to try this next time! Yum! This is perfect for summer weeknight dinners! 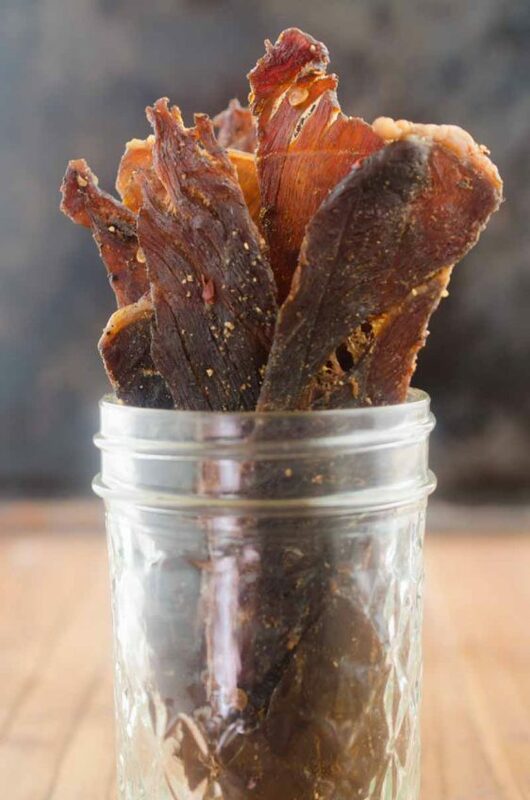 My husband is a carnivore and I need it to be light so this is a great combination for us.